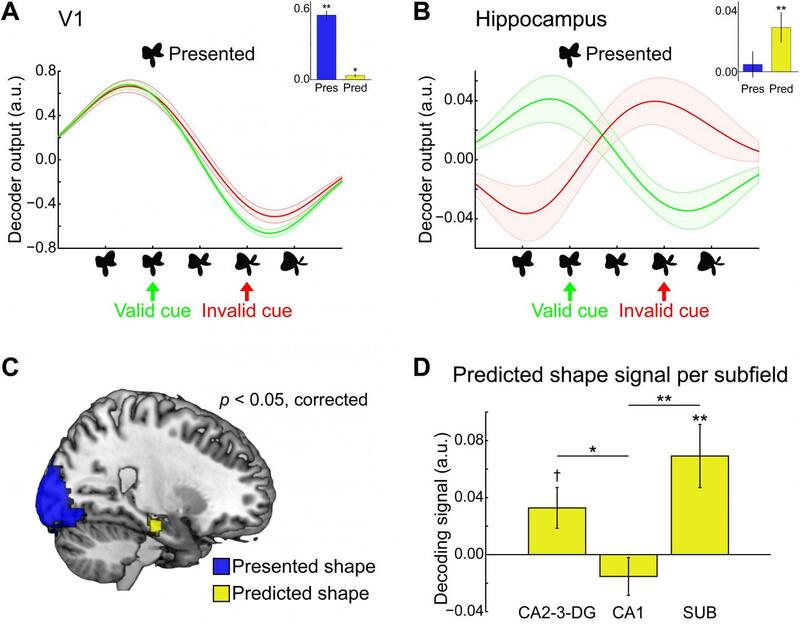 The hippocampus may relay predictions about what we expect to see based on past experience to the visual cortex, suggests a human neuroimaging published in JNeurosci. The study is among the first to examine the interaction between these two aspects of cognition. Associating two different sensory experiences, such as hearing a bark with seeing a dog, allows people to perceive the world more efficiently than relying on sensory input alone. How the brain "fills in" this perceptual information, however, is unclear. Investigating the relationship between sound cues and visual shapes in the brain, Peter Kok and Nicholas Turk-Browne found that the hippocampus represents what one expects to see while the visual cortex represents what is actually seen. Expectations in the hippocampus were related to visual processing, suggesting a mechanism by which memory can inform perception.